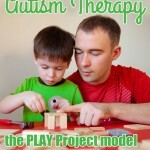 Home Most Recent Early Intervention Articles What is the GFGC Diet and How Can It Help with Autism Spectrum Disorders? What is the GFGC Diet and How Can It Help with Autism Spectrum Disorders? The Gluten Free Casein Free Diet (GFCF Diet) is currently used as a dietary intervention treatment for children and adults with Autistic Spectrum Disorders, PDD-NOS, Celiac Disease and Gluten & Dairy Allergies or Intolerance. The GFCF Diet eliminates the intake of the naturally-occurring proteins gluten (found naturally in wheat, barley, spelt, triticale, kamut, rye and possibly oats) and casein (found in milk). You can find studies that show evidence that the diet is often helpful in lessening autistic symptoms such as impulsive behaviors, lack of focus, and even speech problems. Conversely, the diet also has many critics who say there is no real scientific evidence that the diet works, however, many parents of young children with autism swear by it. Certainly wheat and dairy are a part of almost everything we serve & eat in the United States and keeping a child away from things such as ice cream, pizza, milk, and most snack foods and cereals is not always easy. The diet does not simply involve removing bread and milk from a child’s diet because gluten can be found even in products that can be absorbed through the skin such as Playdoh, adhesive stickers, hygiene products, etc. The key is to read every label thoroughly. Diet Intervention and Autism by Marilyn Le Breton and A User Guide to the GF/CF Diet for Autism, Asperberger Syndrome and ADHD by Luke Jackson.